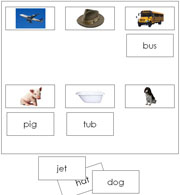 3-Letter phonetic words and picture cards. 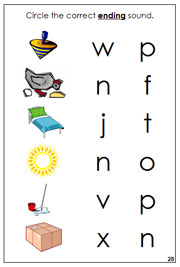 Sheets with 3-letter phonetic pictures and labels. 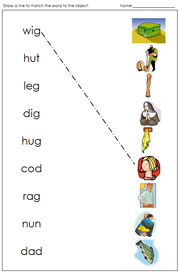 Draw a line from the word to the picture. 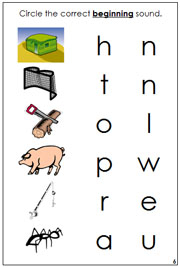 Circle the correct beginning sound for each 3-letter phonetic picture. 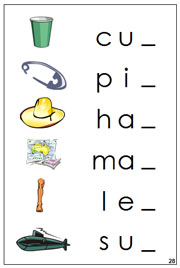 Fill in the beginning sounds for these 3-letter phonetic words. 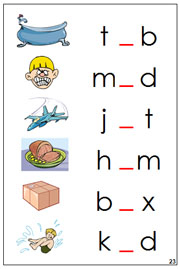 Circle the correct ending sound for each 3-letter phonetic picture. 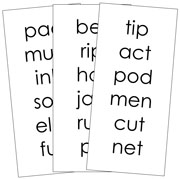 Fill in the ending sounds for these 3-letter phonetic words. 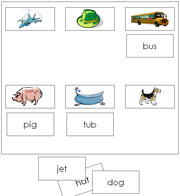 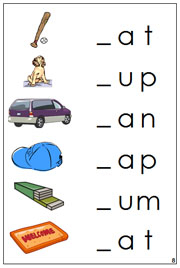 Circle the correct vowel sound for each 3-letter phonetic picture. 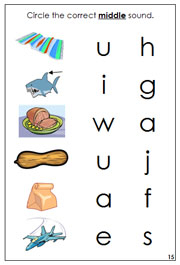 Fill in the vowel sounds for these 3-letter phonetic words.